Order within 17 hours and 9 minutes to receive your order by Wednesday 24th April. 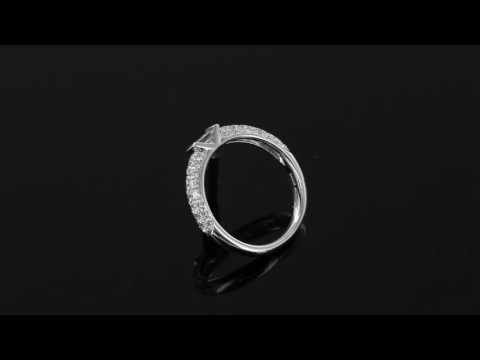 Crafted from 18 carat white gold and features a 0.24 carat baguette cut diamond set within a tension setting. This centre stone is then gracefully supported by two rows of brilliant cut diamond shoulders amounting to 0.67 carat.